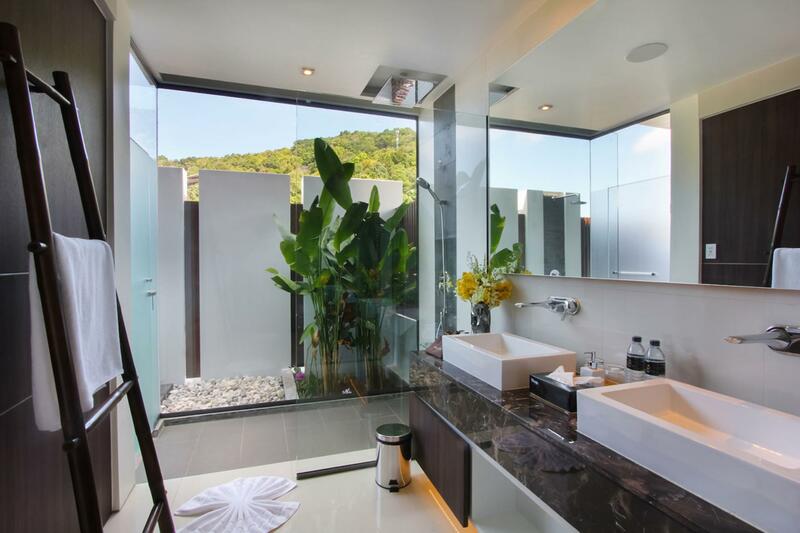 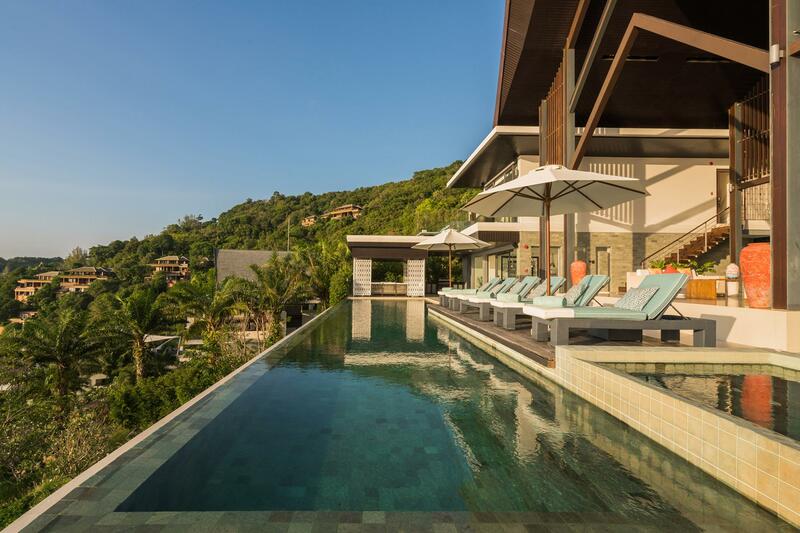 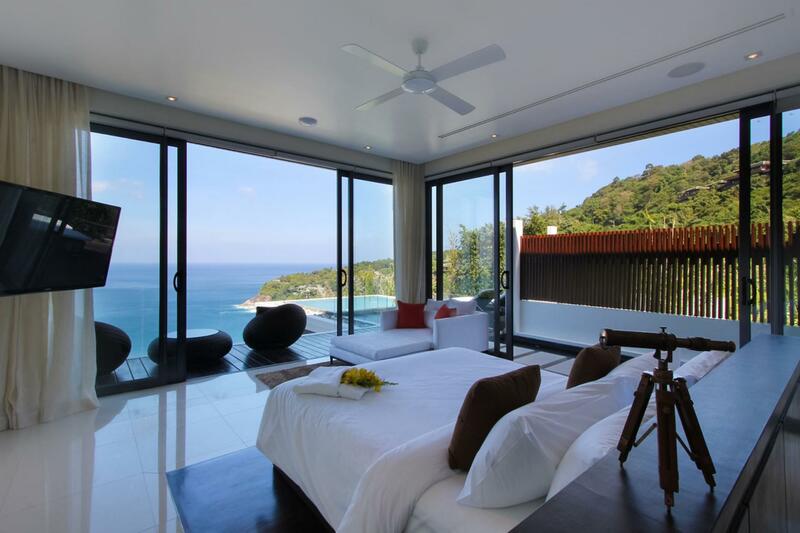 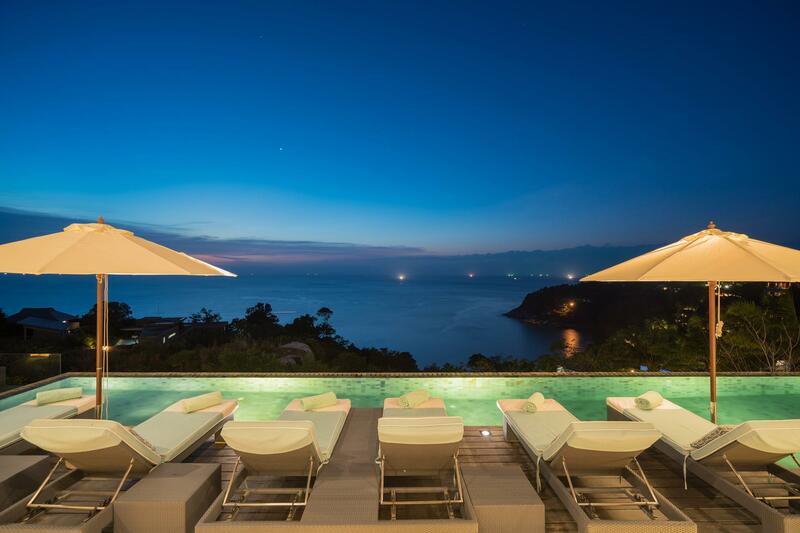 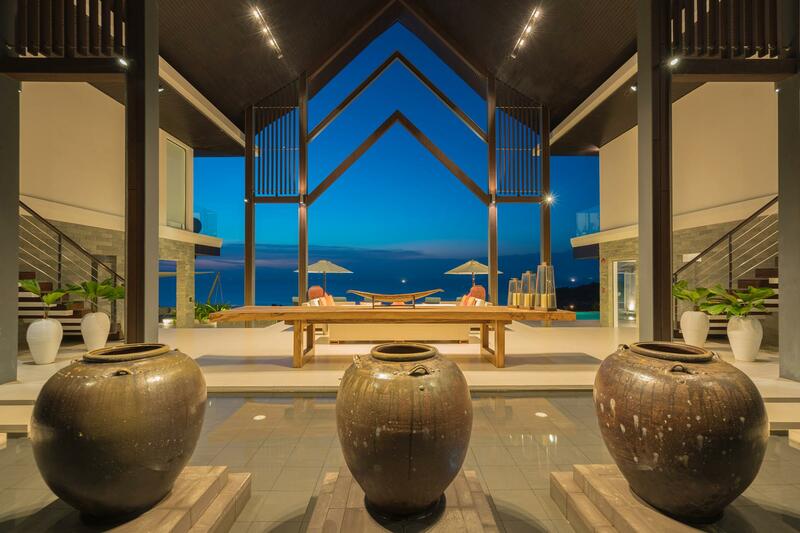 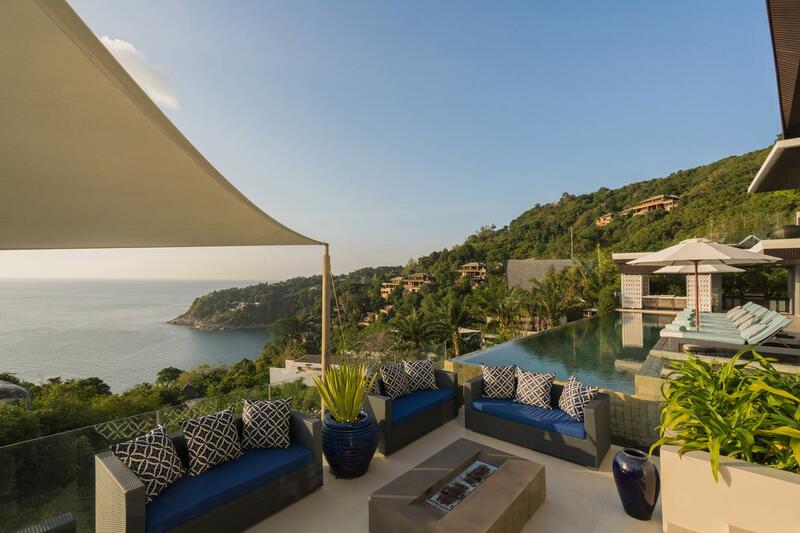 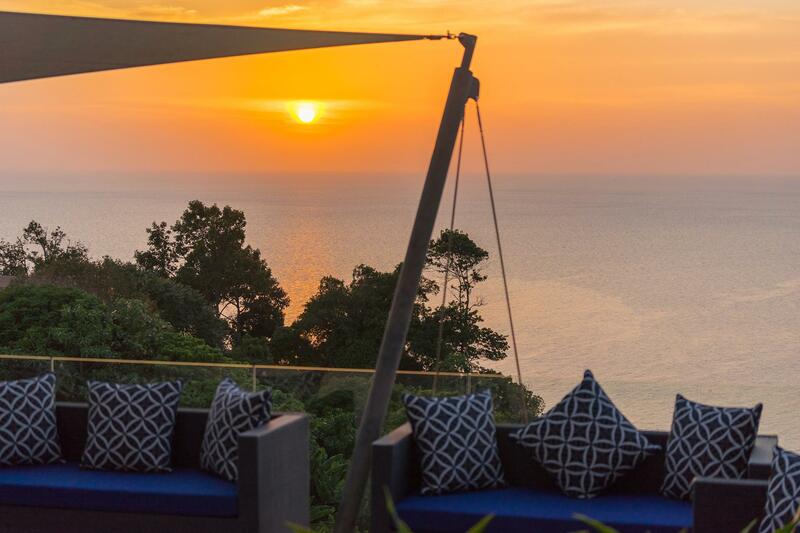 From an enviable position, high on a dramatic rocky headland above Phuket's west coast, every room at this stunning six-bedroomed luxury villa commands breathtaking views of the Andaman Sea. 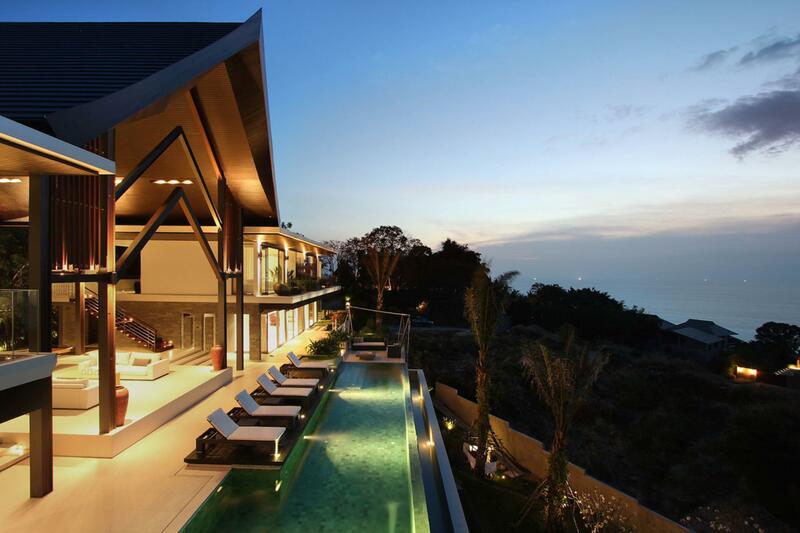 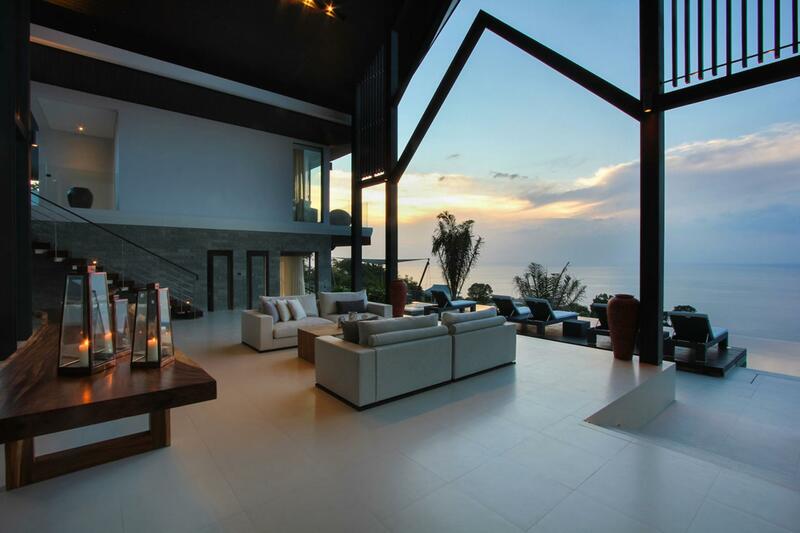 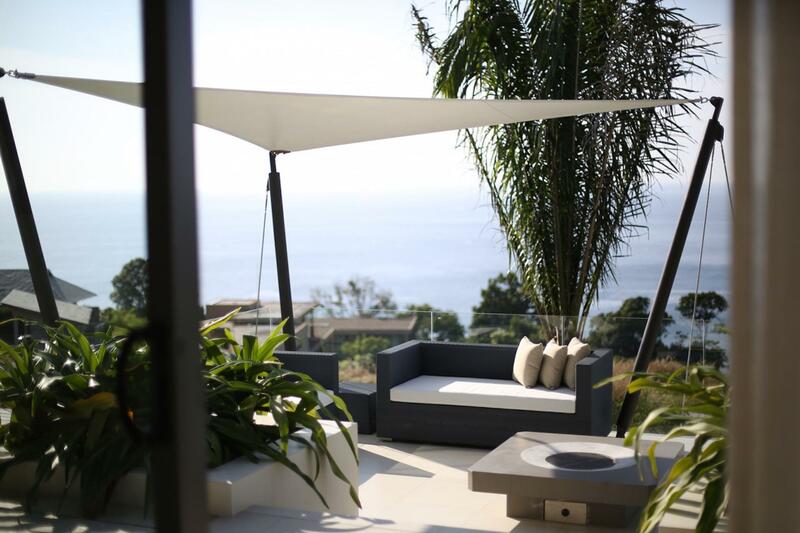 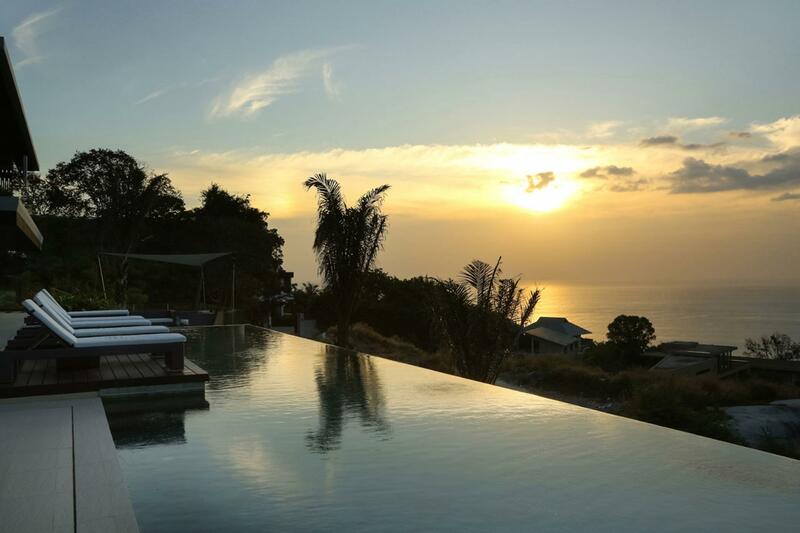 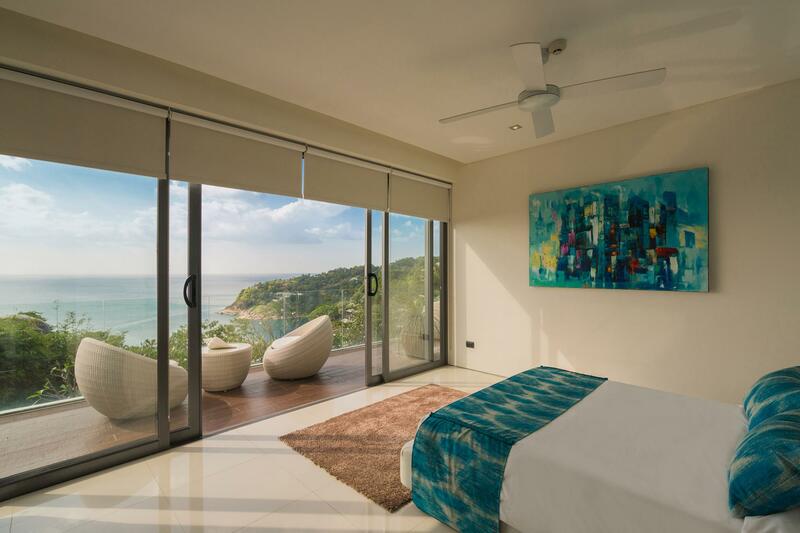 And it's not only the views that make a bold statement at Villa Saan. 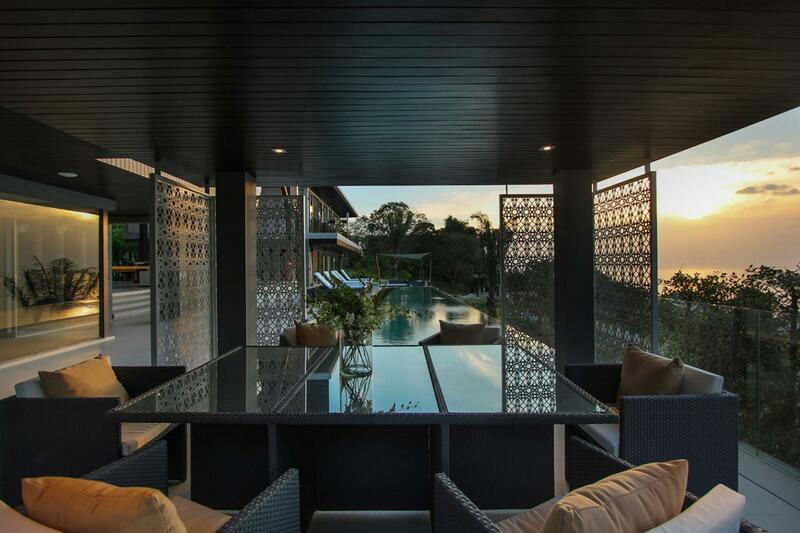 The spectacular cathedral-like entrance, cool 19-metre infinity-edge pool, state-of-the-art home cinema, well-equipped gym and luxurious spa treatment room will take your breath away too. 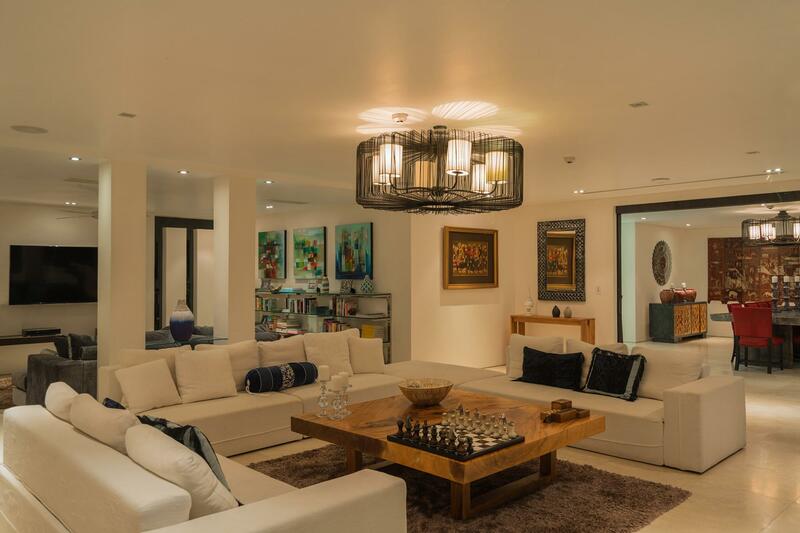 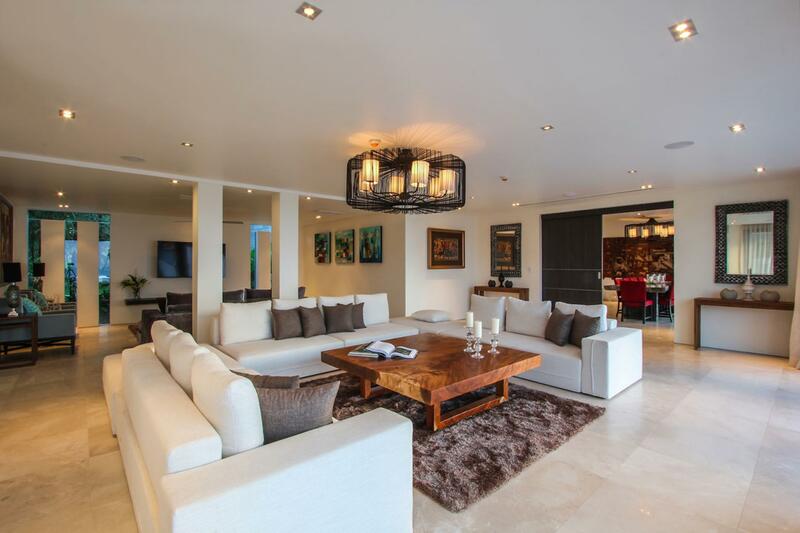 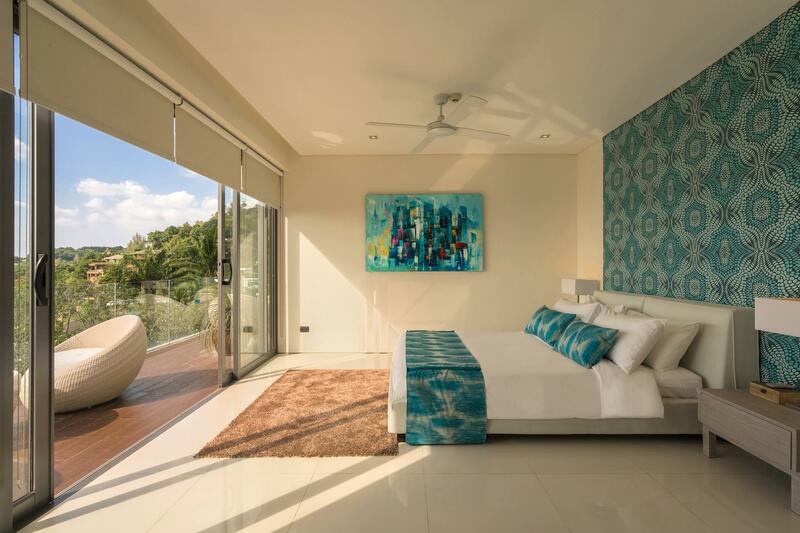 The finest furnishings, unique works of art and top-quality fittings throughout the villa's livings spaces, bedrooms and bathrooms add to Villa Saan's appeal. 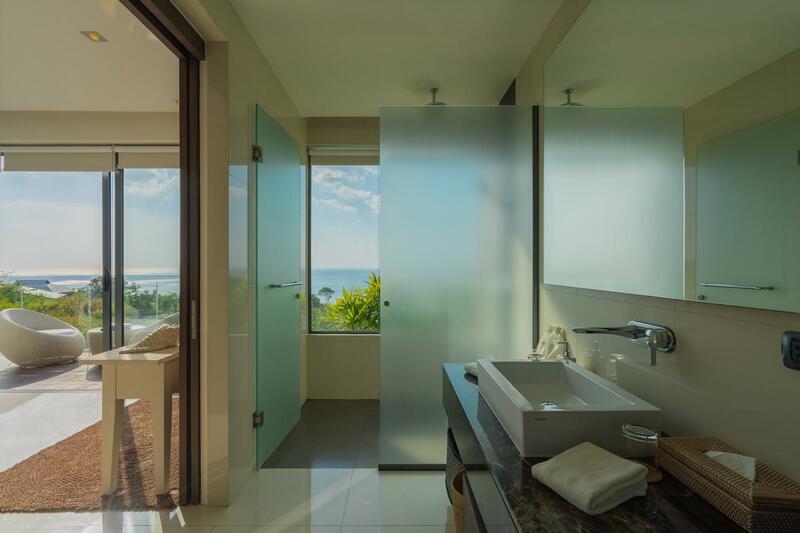 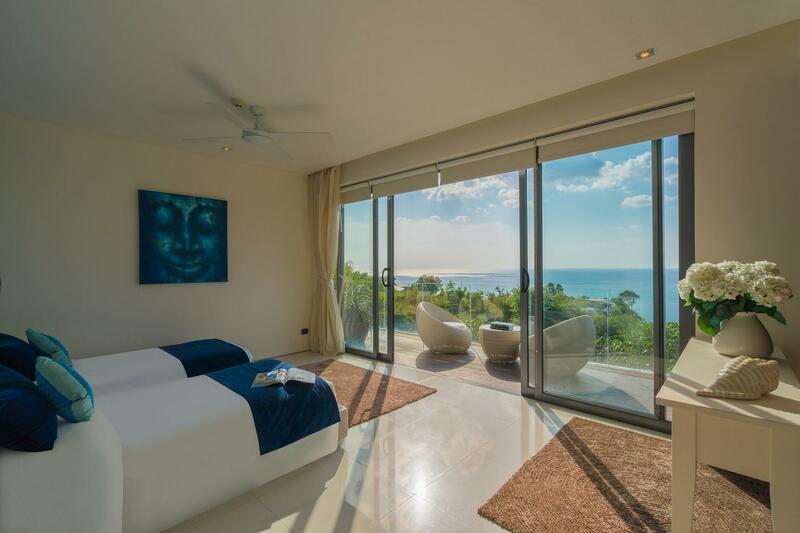 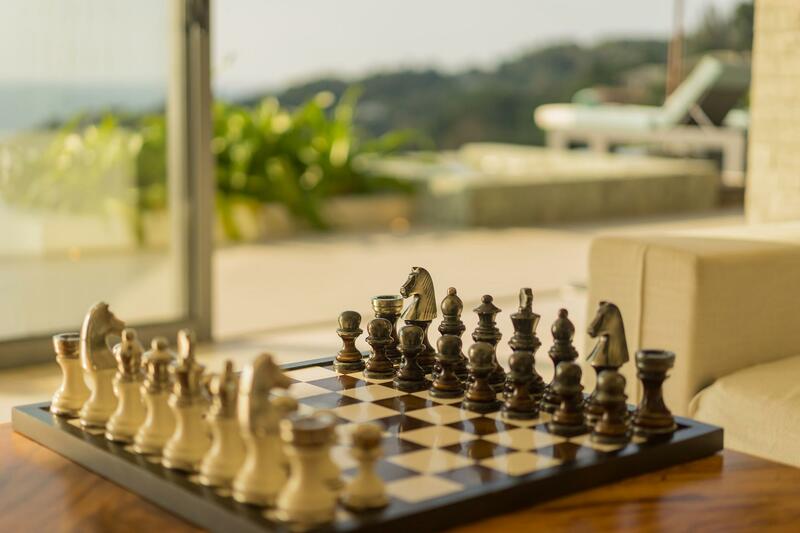 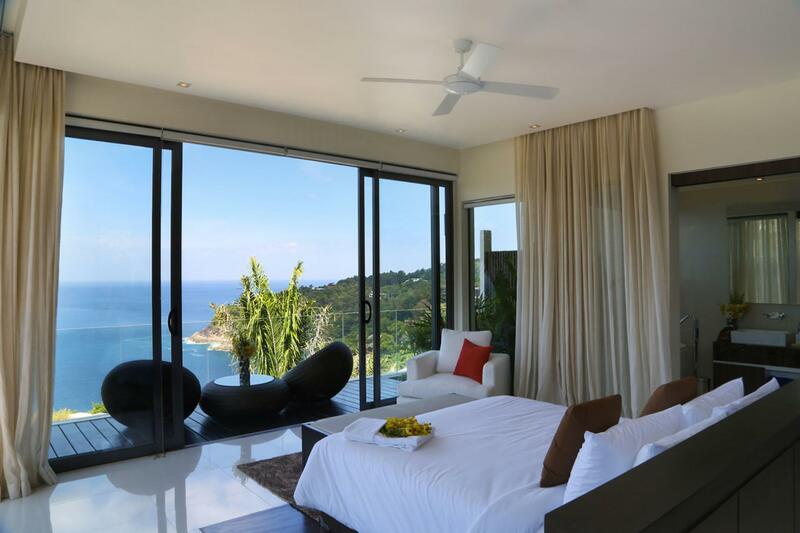 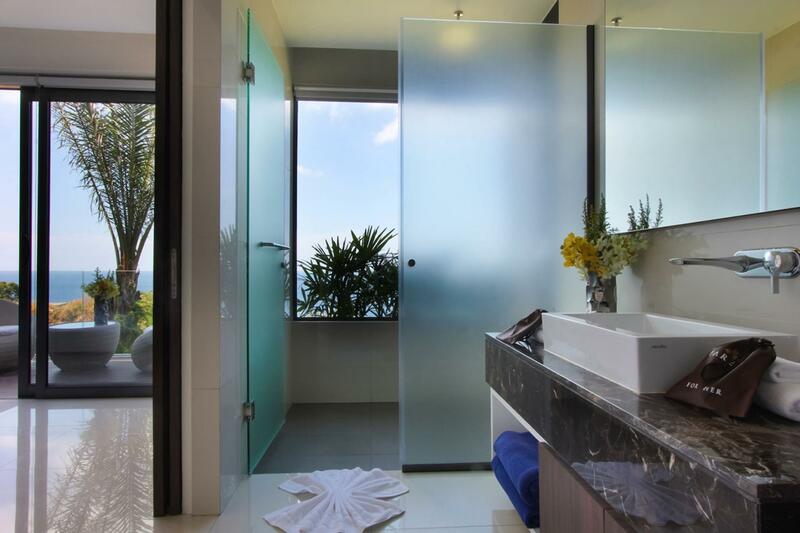 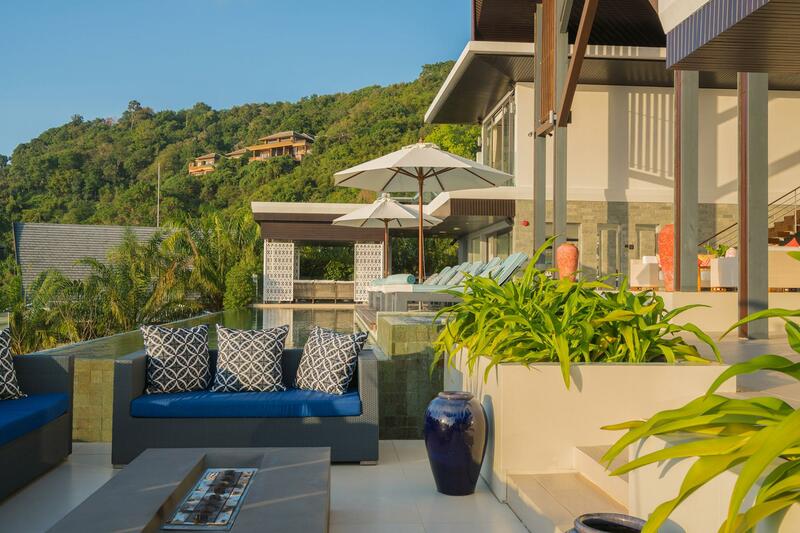 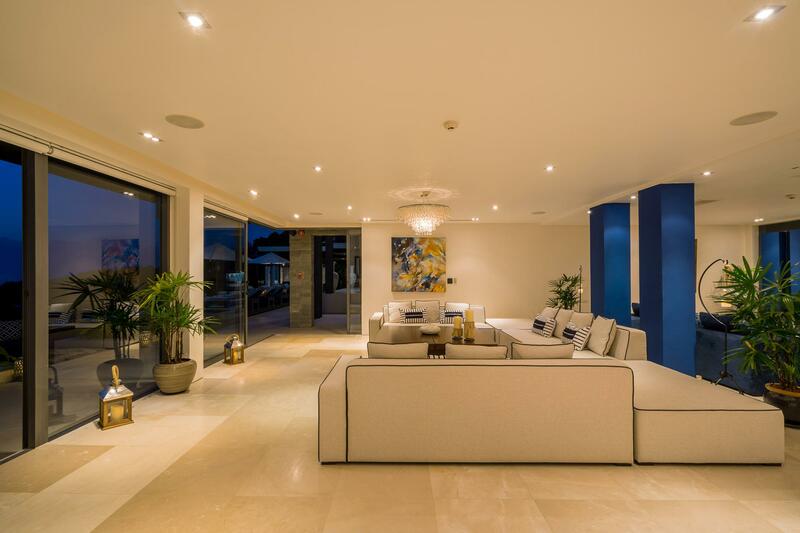 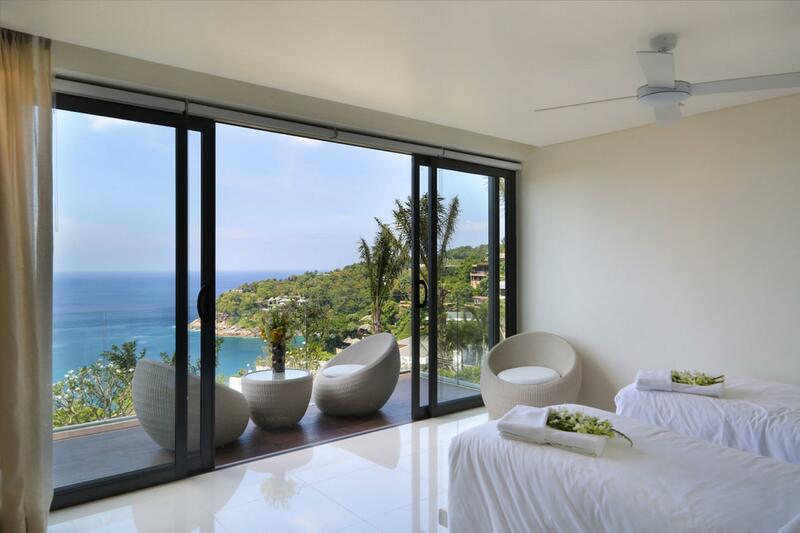 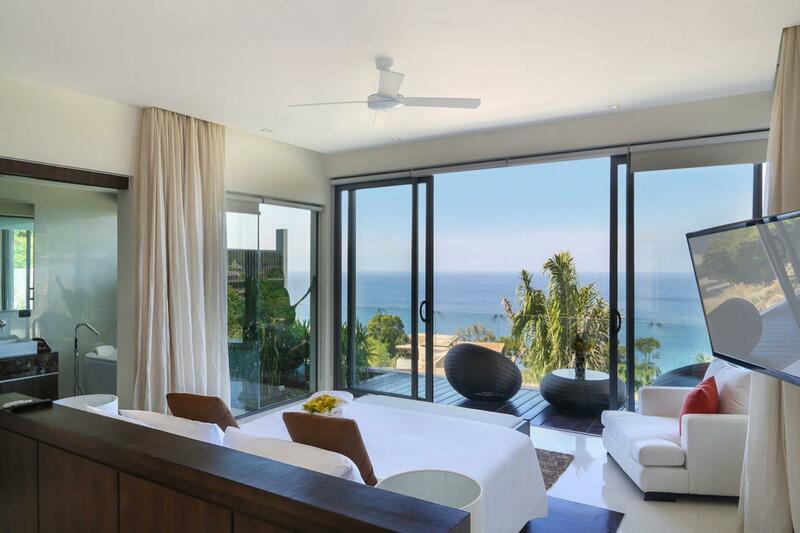 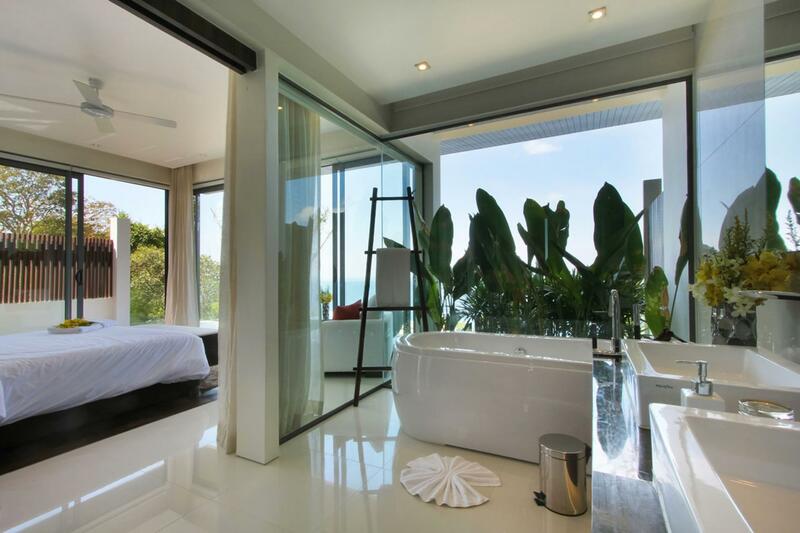 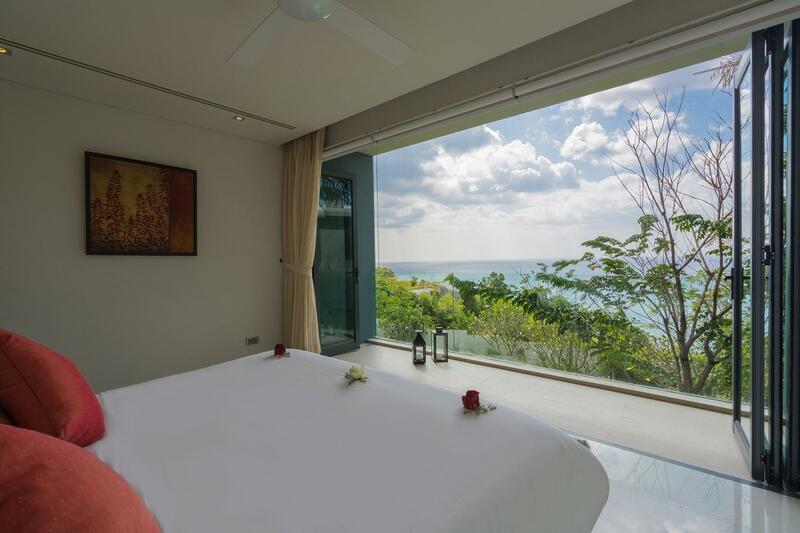 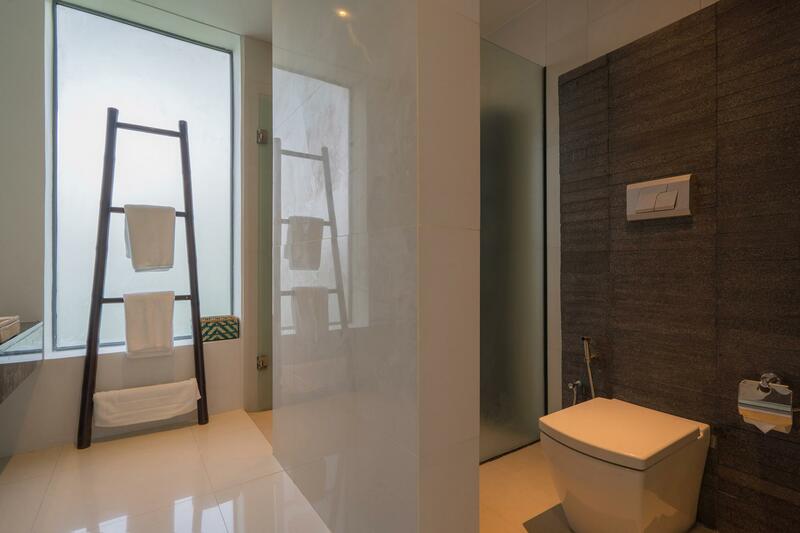 Arranged over three levels, all six of Villa Saan's spacious air-conditioned and fan-cooled ensuite bedrooms open onto the unobstructed ocean views and private glass-fronted balconies. 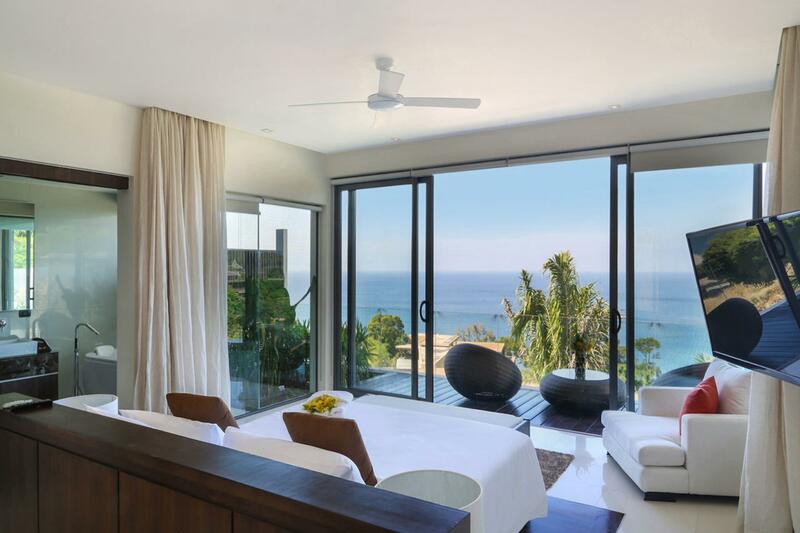 These bright, sunny rooms have been flexibly configured to suit all types of guest groups, with four king or queen-bedded rooms and two twin rooms. 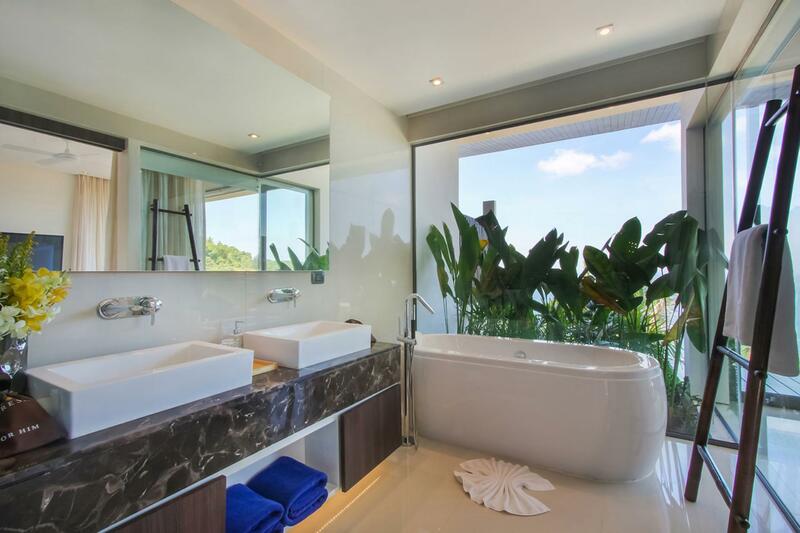 The master suite, which lies on the upper floor, boasts a sparkling jacuzzi and a private furnished terrace overlooking the main pool. 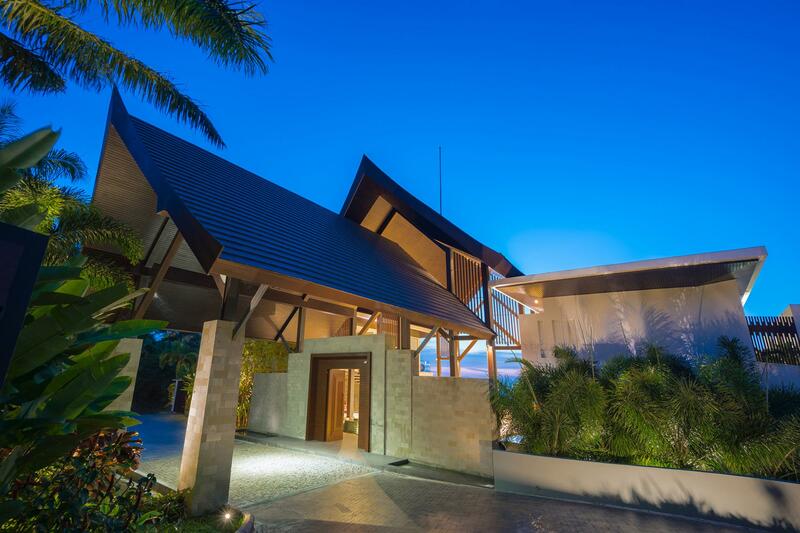 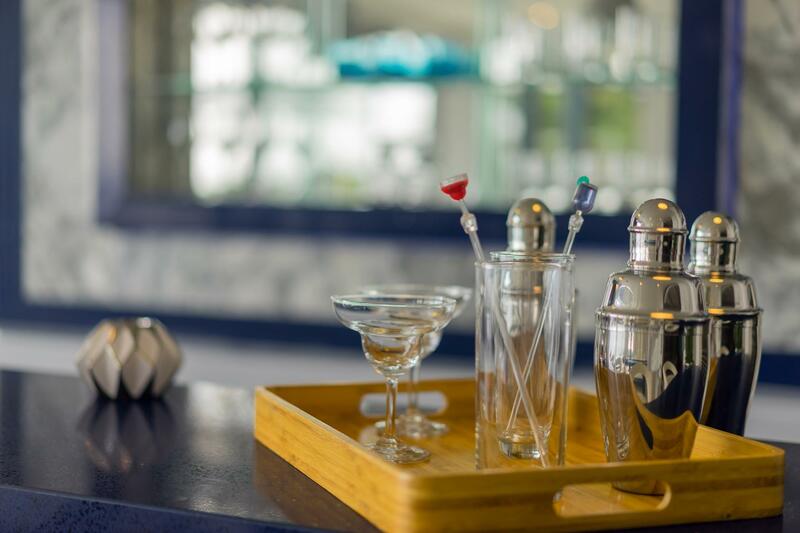 A team of four staff is on hand to pamper guests with the finest cuisine, keep the villa pristine and offer a knowledgeable concierge service. 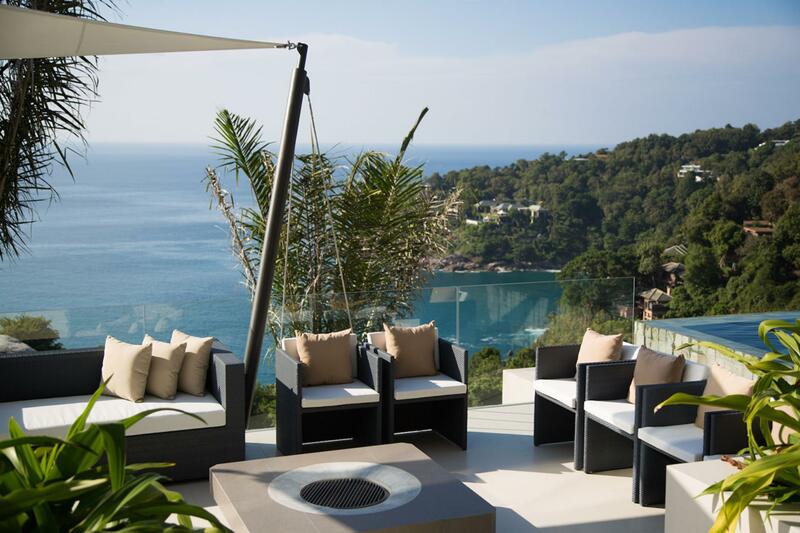 Whether you wish to spend your day at the villa enjoying a fresh seafood barbecue, lazing by the pool, surrendering to rejuvenating spa treatments, sipping sunset cocktails and watching movies on the Apple TV, or head out for a round of golf, to explore Phuket's many exciting attractions, or charter a boat and go island hopping, your villa manager can make it happen. 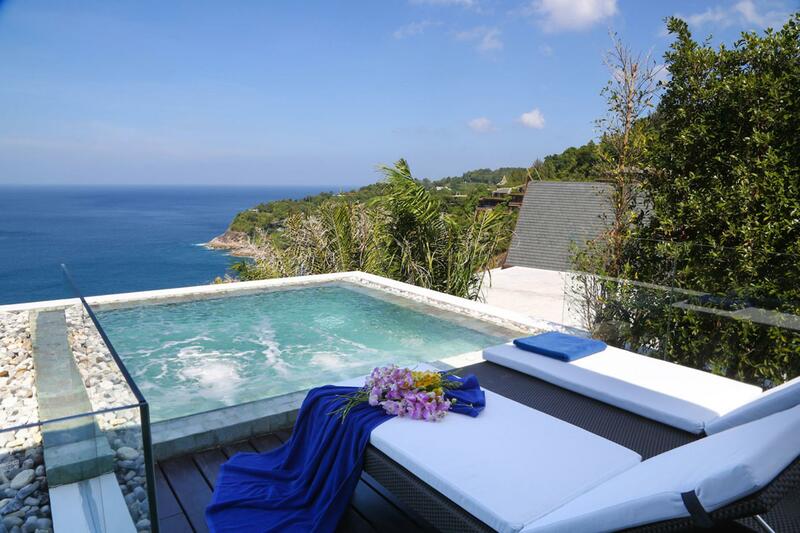 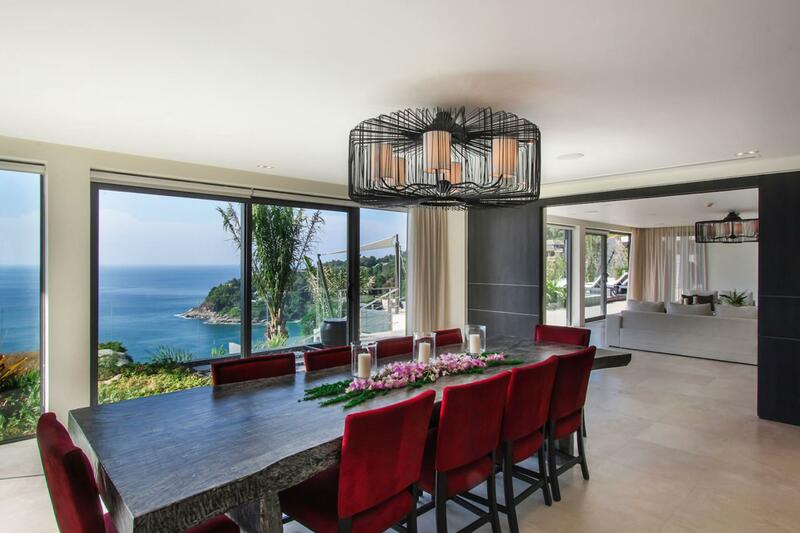 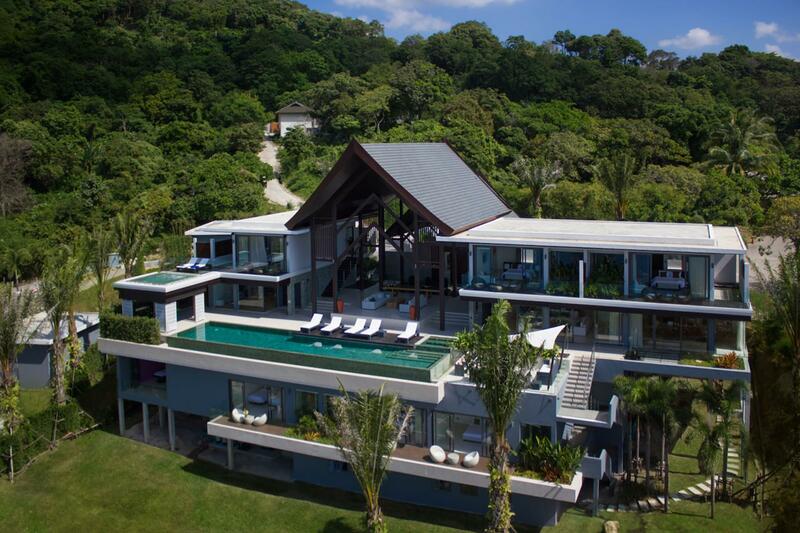 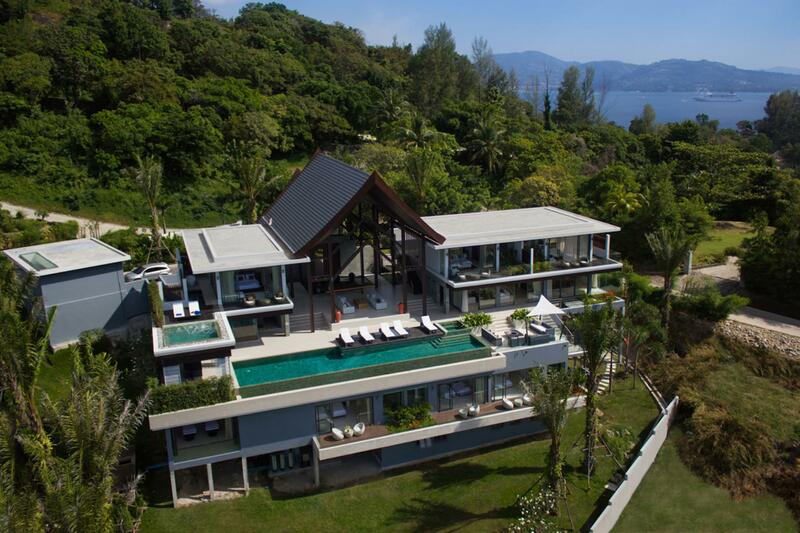 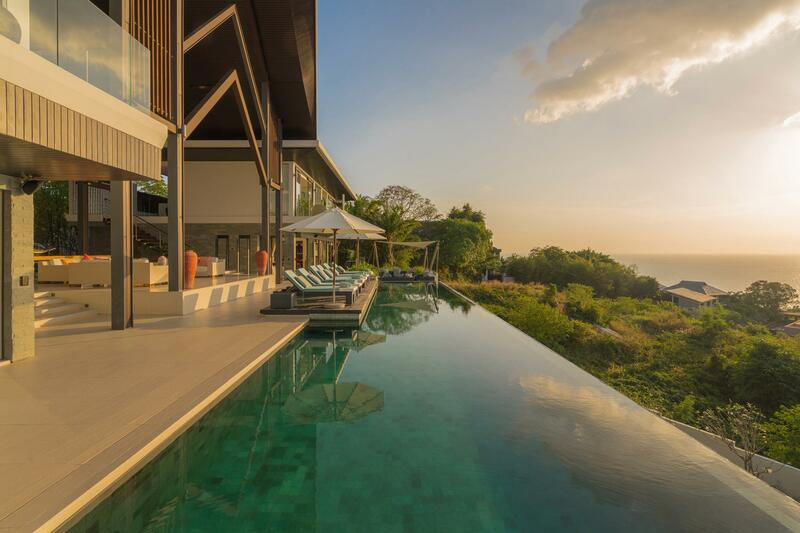 Villa Saan lies just south of Kamala Beach on Phuket's west coast and is part of the exclusive Cape Amarin private estate, set on a dramatic rocky headland with spectacular views out over the Andaman Sea. 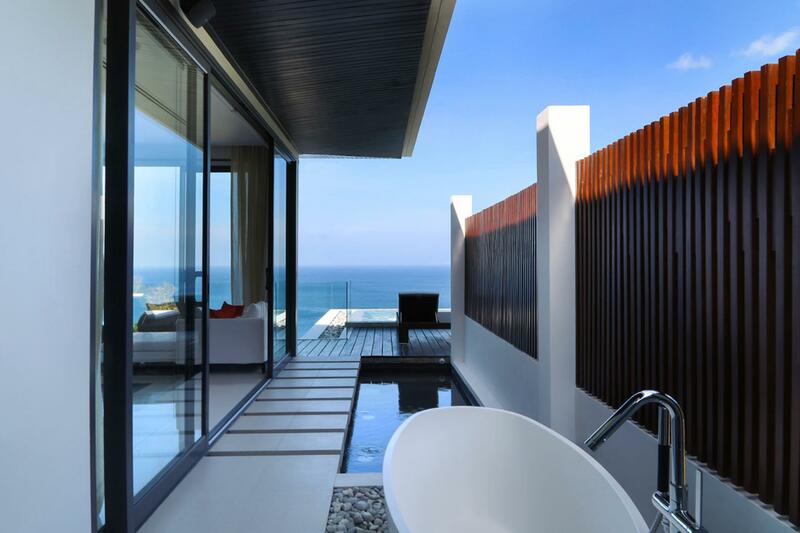 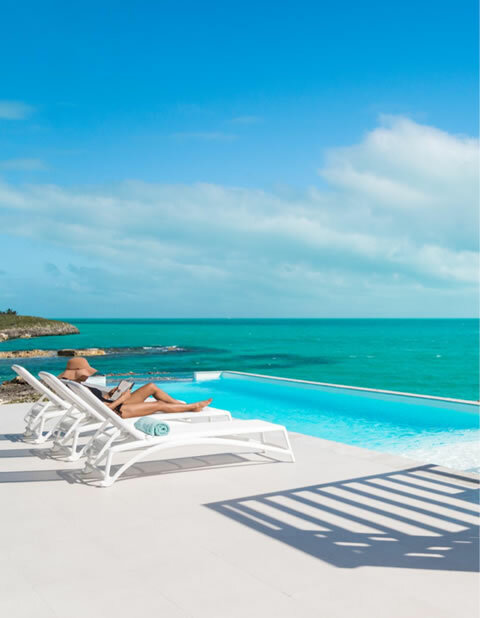 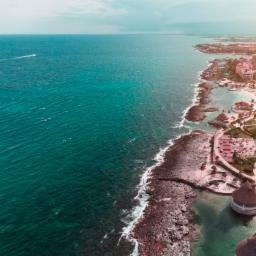 Luxury villa developments line this spectacular stretch of coastal road known as Millionaires Mile, together with some five-star resorts which are home to upmarket wining and dining establishments such as The Paresa Resort, Cape Sienna's Vanilla Sky rooftop bar and the popular Silk Restaurant at the Hyatt Regency all just few kilometres to the north of the villa. 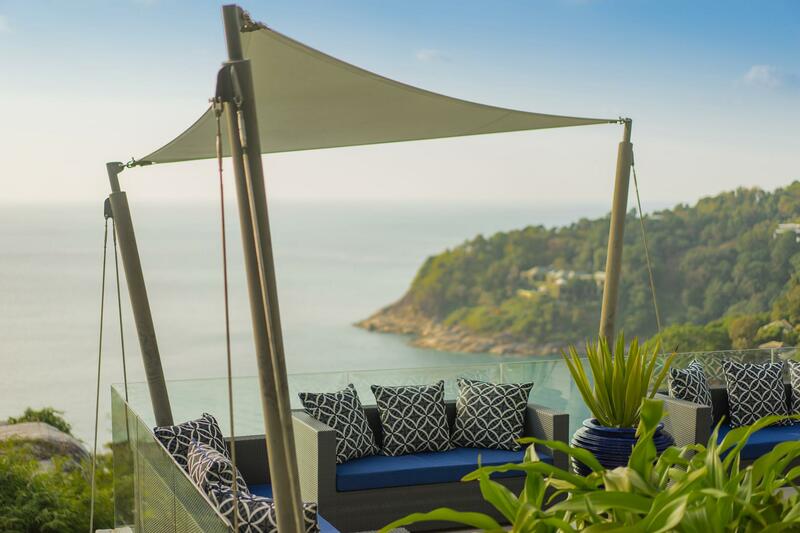 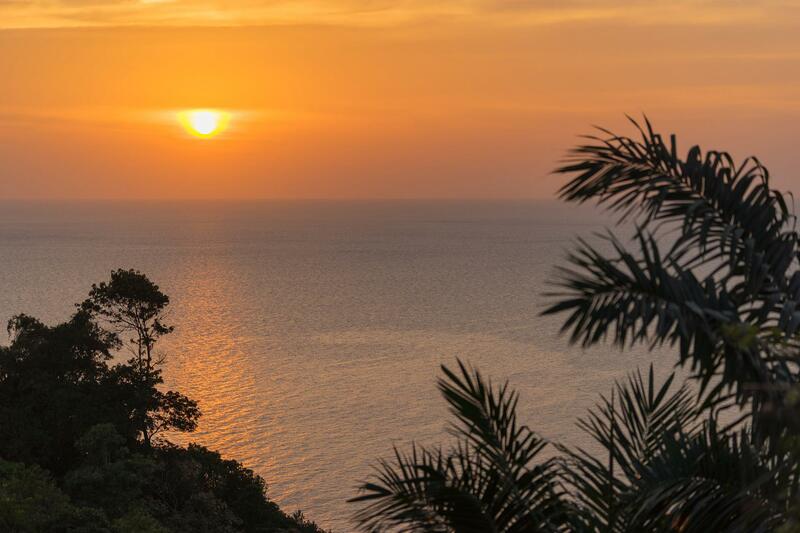 Laid-back Kamala's sandy bay is a 10-minute drive away, while Surin Beach, with a greater range of restaurants and shops, is a further 5-10 minutes to the north and Patong is 15-20 minutes to the south. 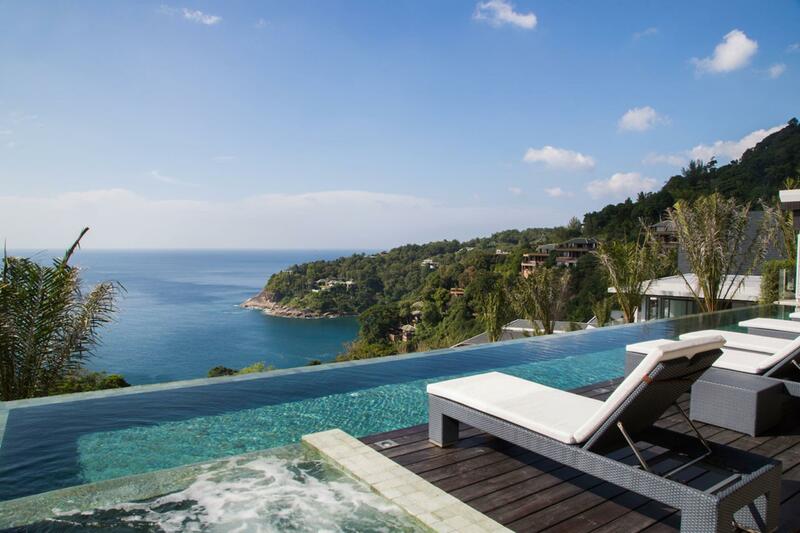 Cape Amarin, Kamala, Phuket, Thailand. 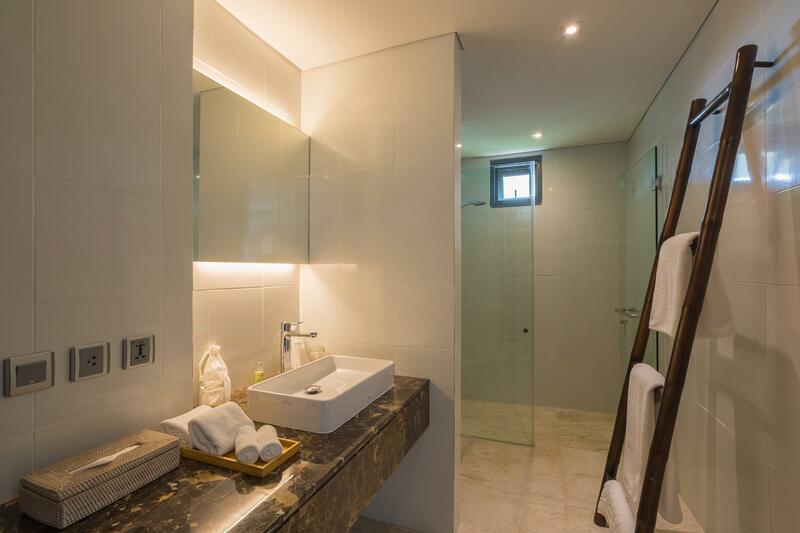 12-13 people in 6 ensuite bedrooms (3 rooms with king size beds; 1 with queen bed; 2 with twin beds). 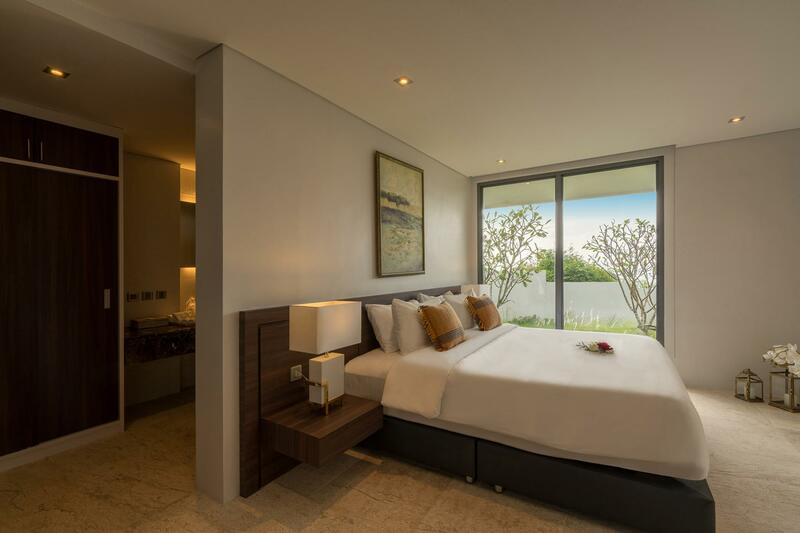 1 extra portable bed available at small additional cost. 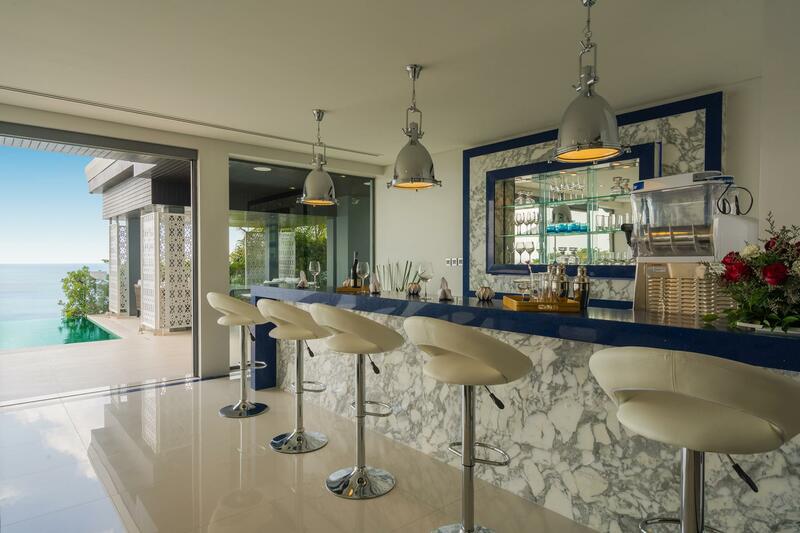 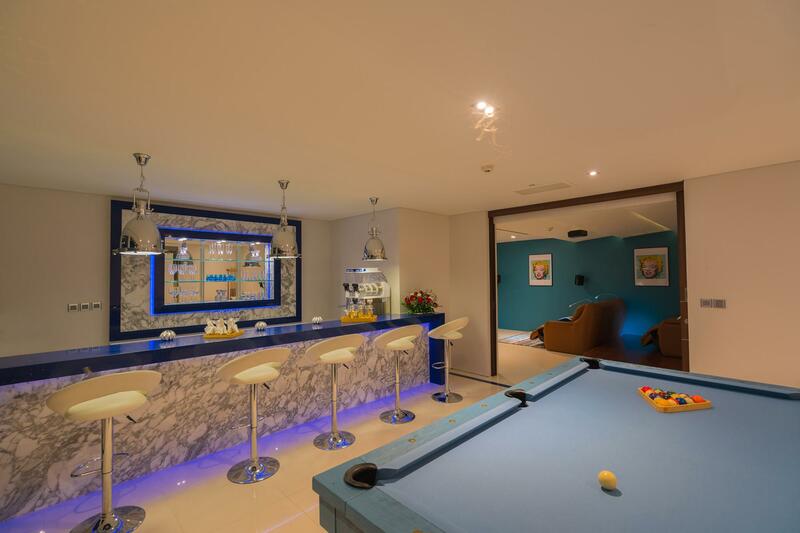 Multiple indoor and outdoor living spaces; indoor dining for 12; bar; kitchen; cinema; spa treatment room; gym. 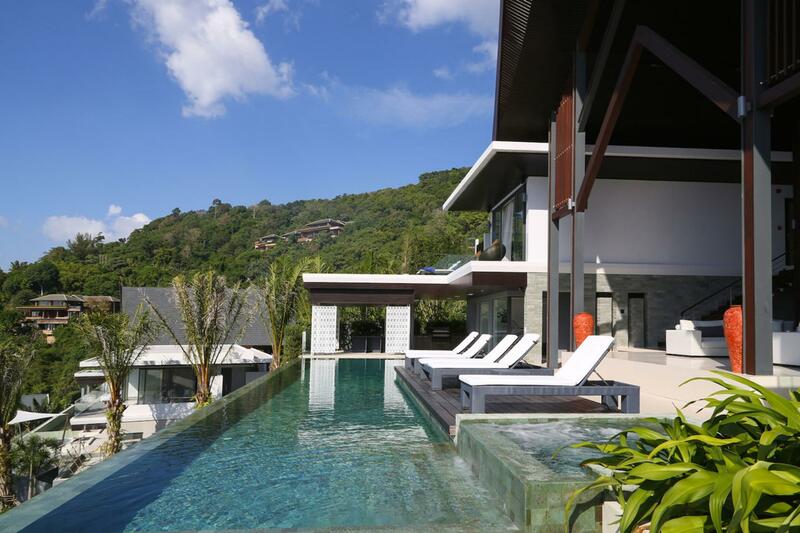 19 x 4m main pool; 3.5m plunge pool at master suite. 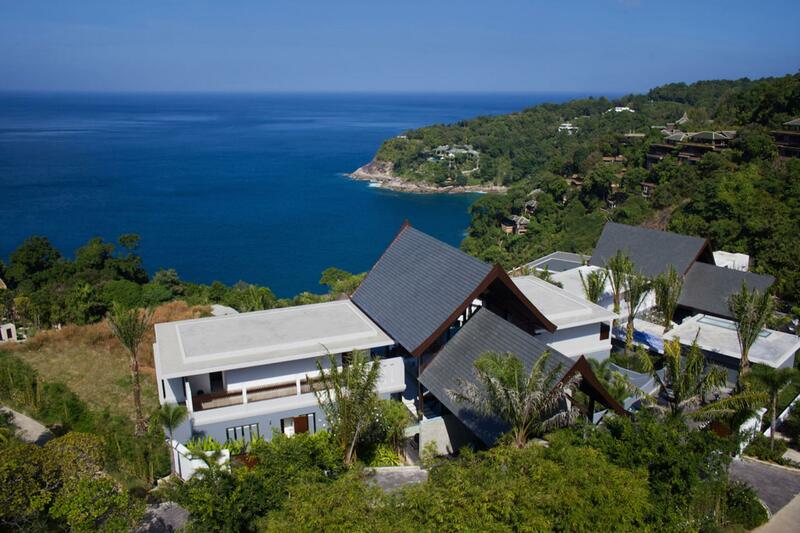 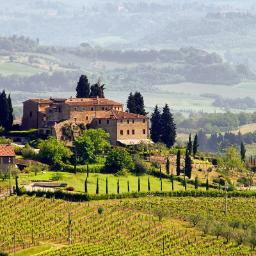 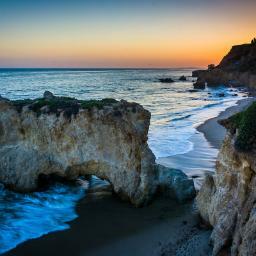 A team of 4 staff attends the villa daily: villa manager; assistant manager; chef (all meals, on request); housekeeper. 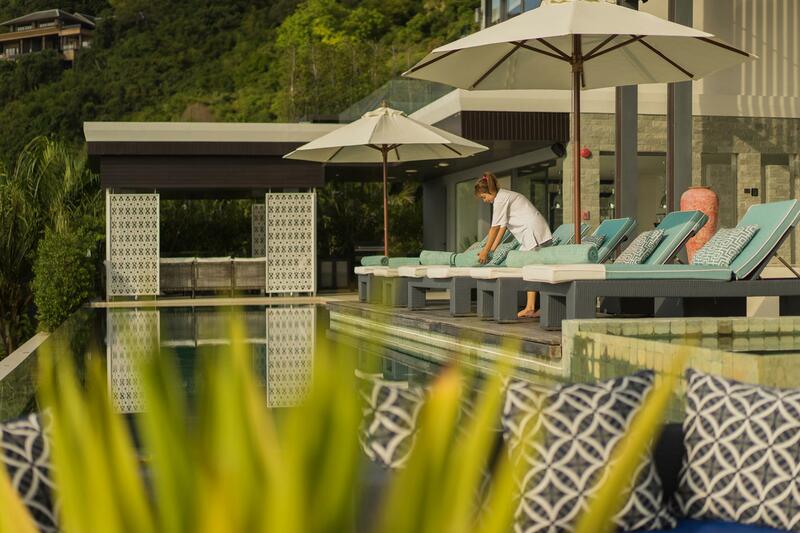 Gardeners and pool staff maintain the villa's outdoor spaces. 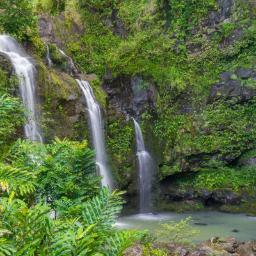 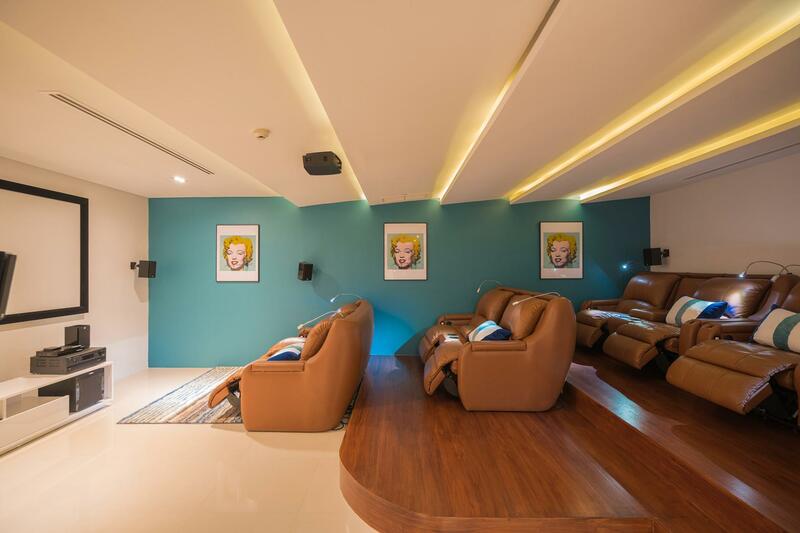 Spa therapists and babysitters are available on request for an additional charge. 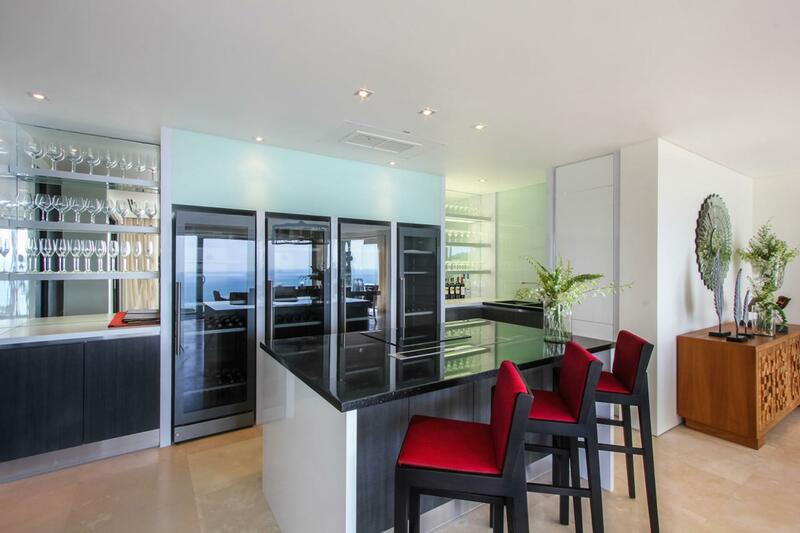 Private chef prepares breakfast, lunch and dinner, catering to special dietary requests wherever possible. 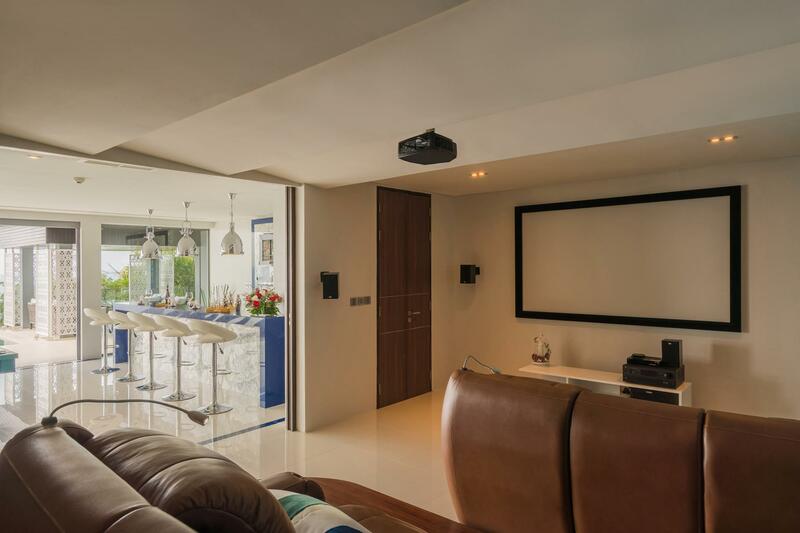 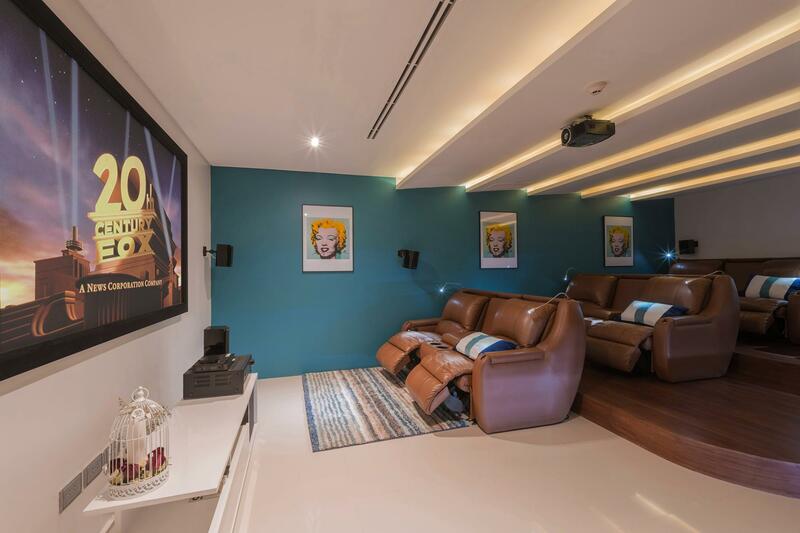 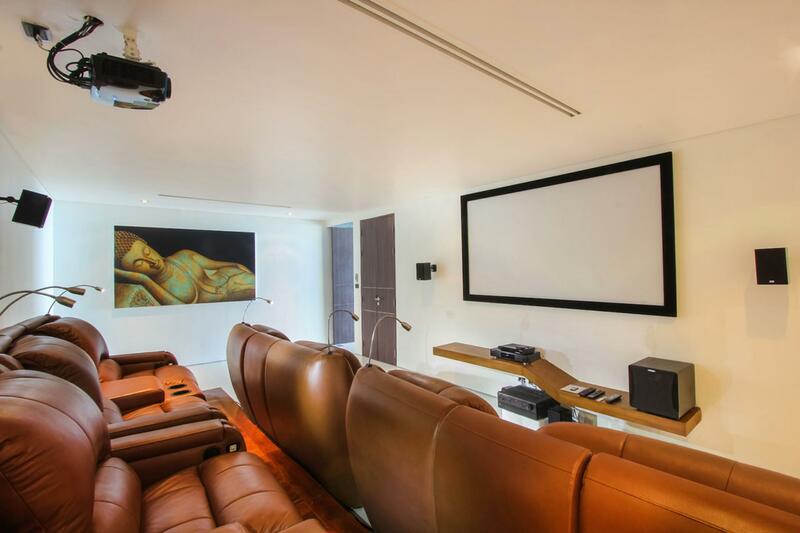 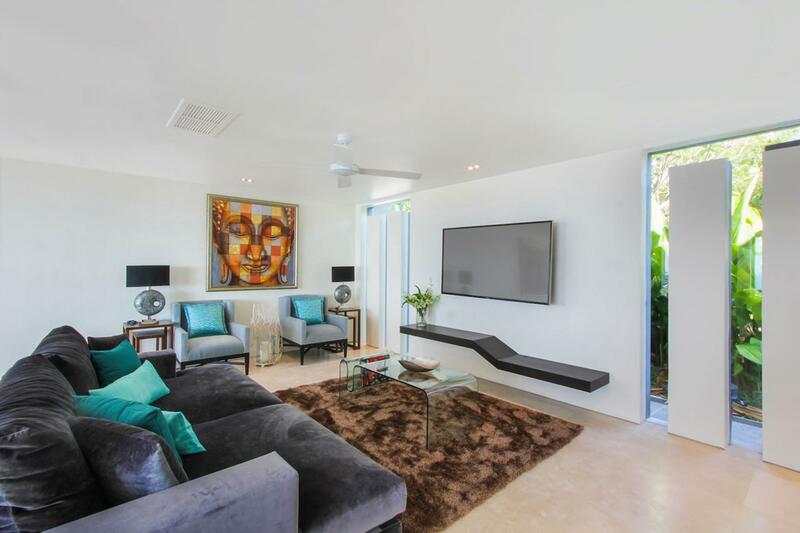 8-seater cinema; TVs and DVD players in every bedroom; Apple TV throughout villa; book selection. 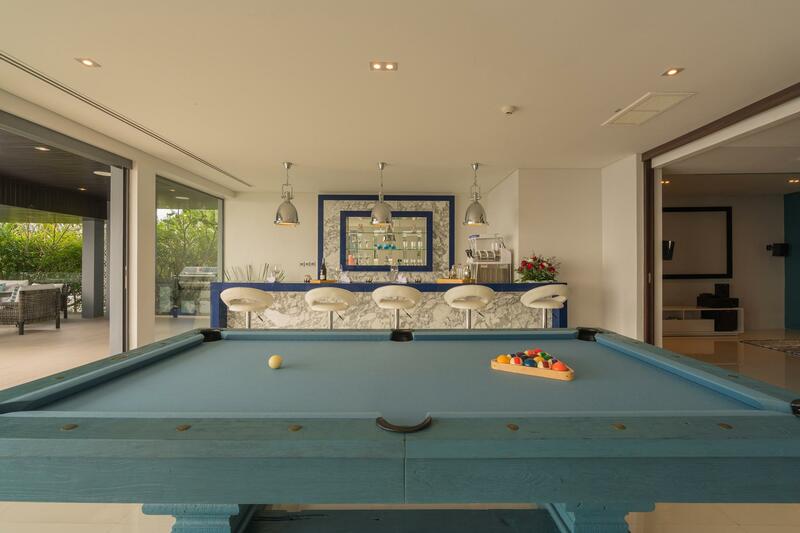 Villa Saan is well equipped for families. 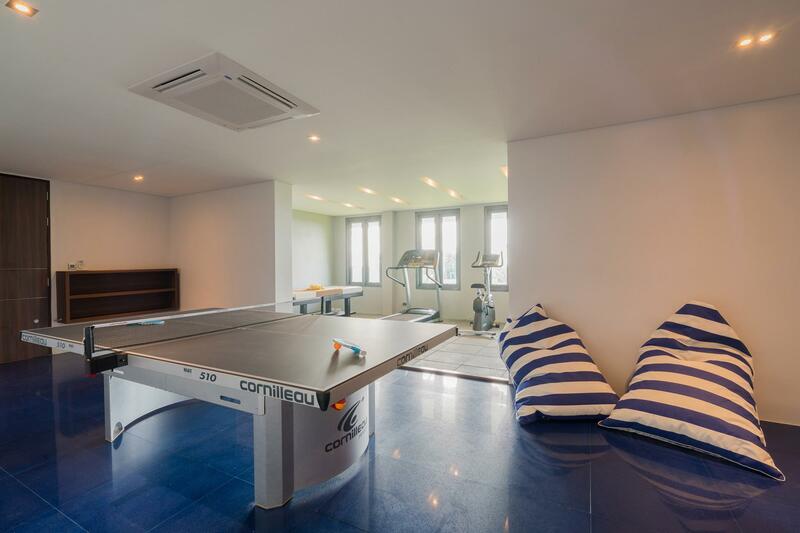 Facilities include a high chair; 1 baby cot (additional baby cot incurs extra cost); books; DVDs; toys and games. 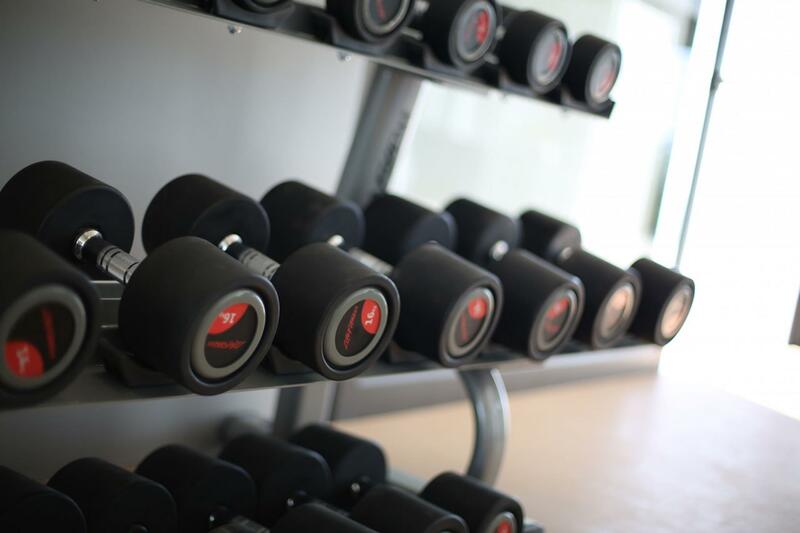 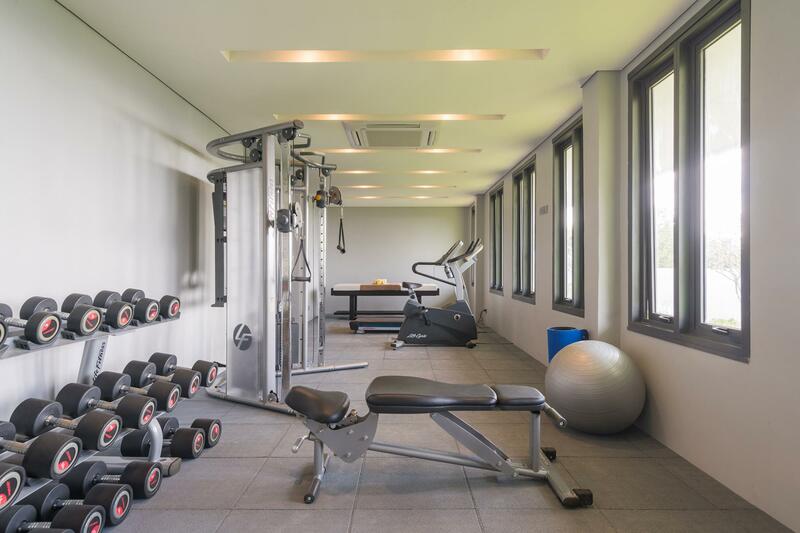 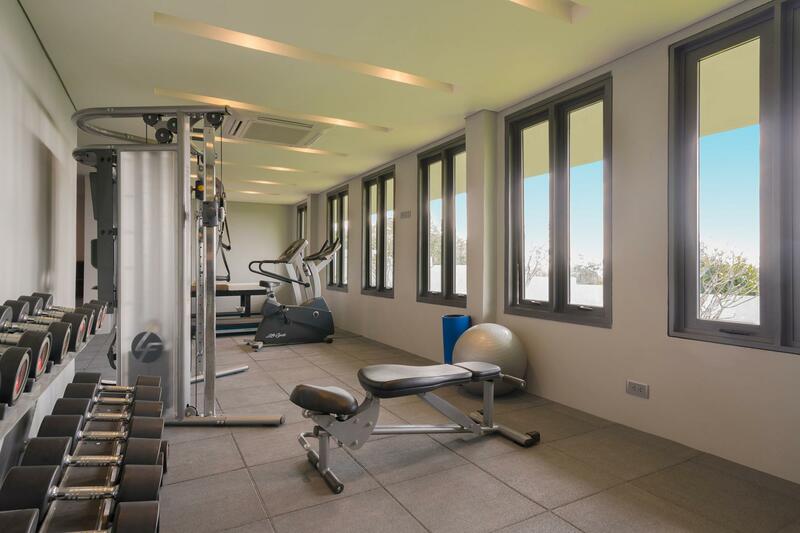 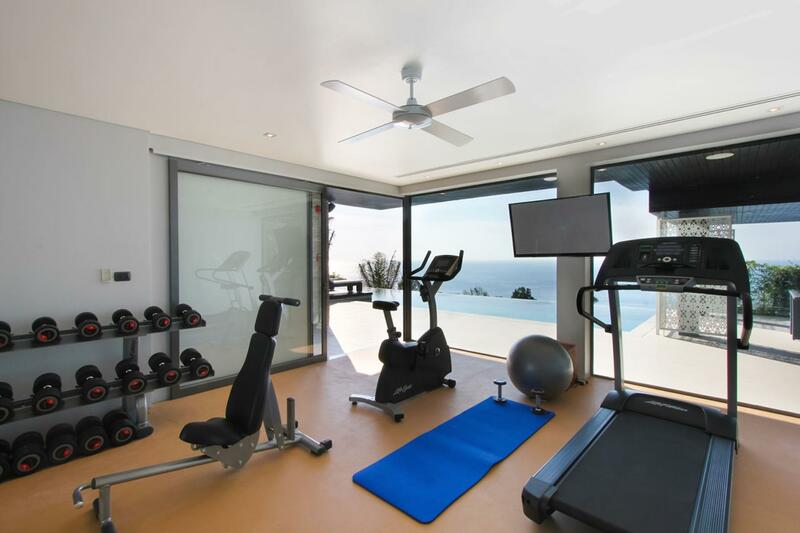 Well-equipped gym overlooking the pool. 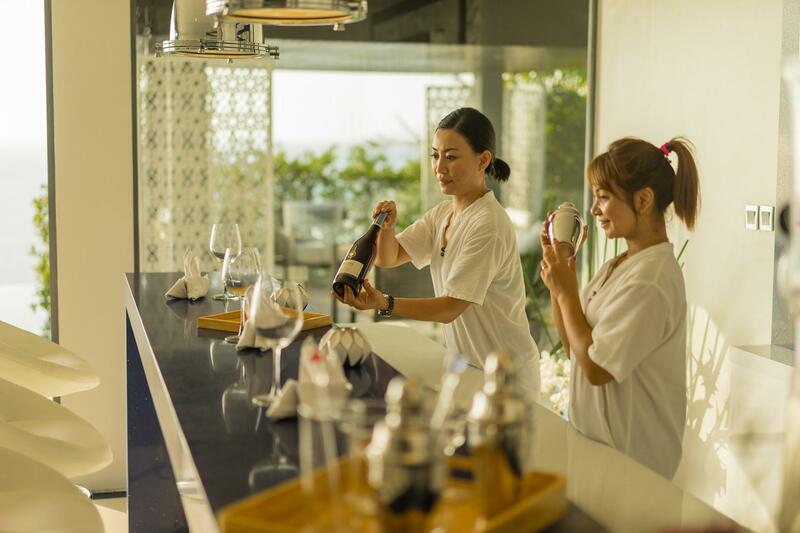 In-villa treatments selected from a comprehensive spa menu can be carried out in the villa's spa room by professional beauty and wellness therapists (extra cost applies). 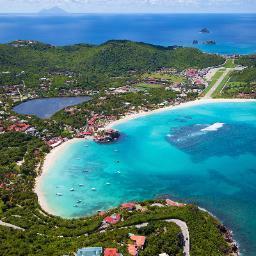 Car requirements and taxi pick-ups can easily be arranged with your villa manager. 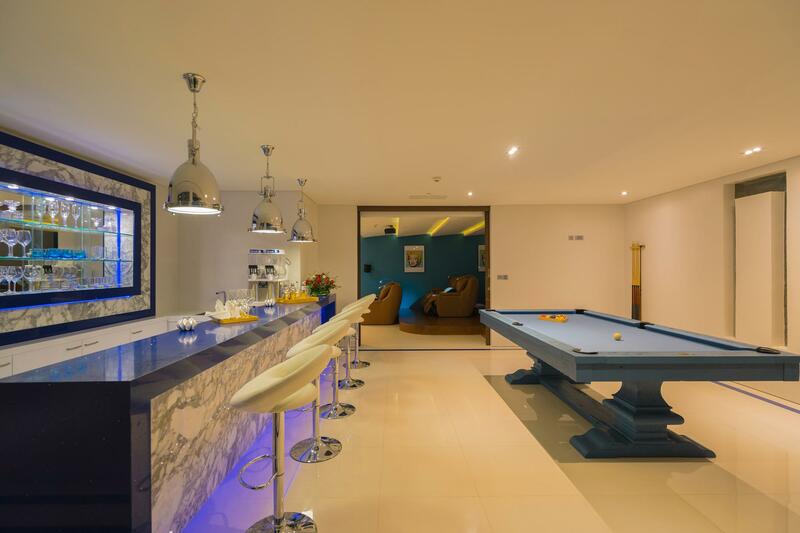 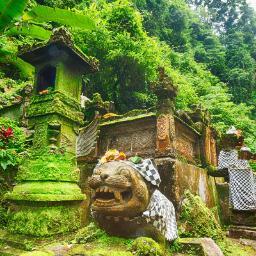 Events for up to 40 people (seated) can be arranged at the villa with prior notice (event fee applies). 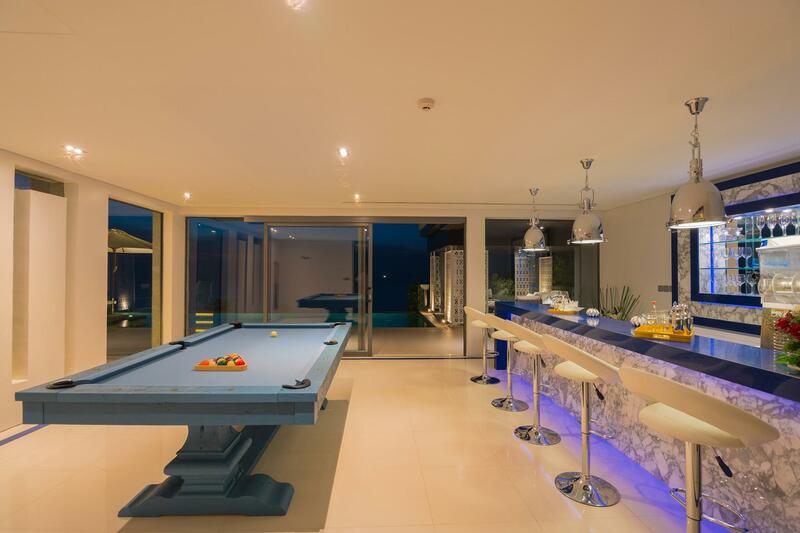 Jacuzzi; barbecue; back-up generator; safety deposit box.